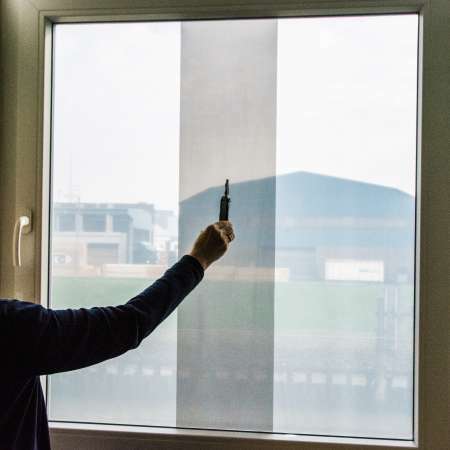 Folio Contact Sunshield is an electrostatically-adherent film that adheres electrostatically to nearly all surfaces without the need for glue or other aids. Therefore, even after the release of the film there are no residues. Ideal for protecting your rooms temporarily (not permanent) against sunlight or to give some darkening. The film filters the UV-A rays of the sun. 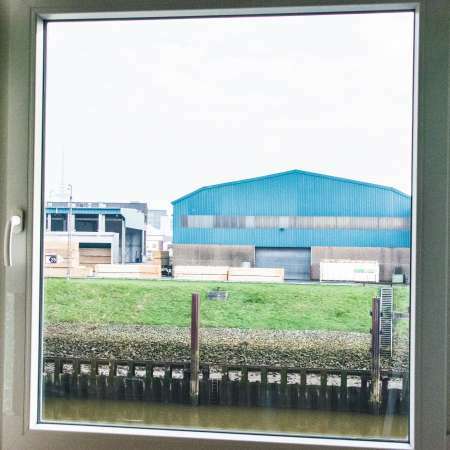 Folio Contact Sunshield convinces with its easy mounting and removal on windows and glass panes. In no time you can attach or remove this product. 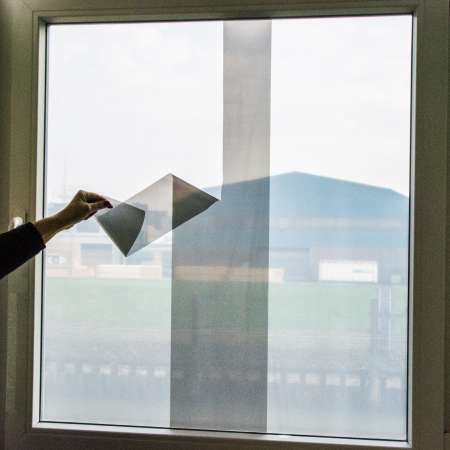 Folio Contact Sunshield is an environmentally friendly Polypropylen Film, developed and produced by NOPAR International GmbH, patented under Folio Contact EP 1326918 B1. 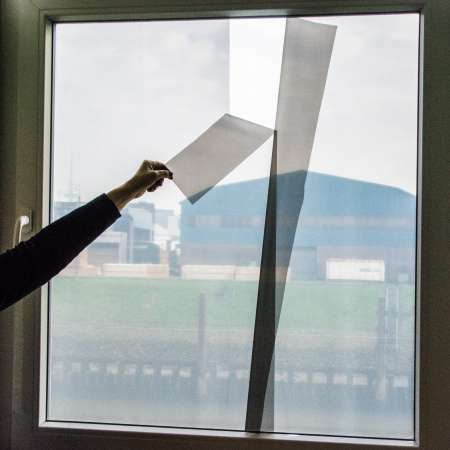 This 3-layer coex-cast film is a speciali produced material which is treated with electrostatic charge to make the sheet stickable to almost all smooth surfaces. 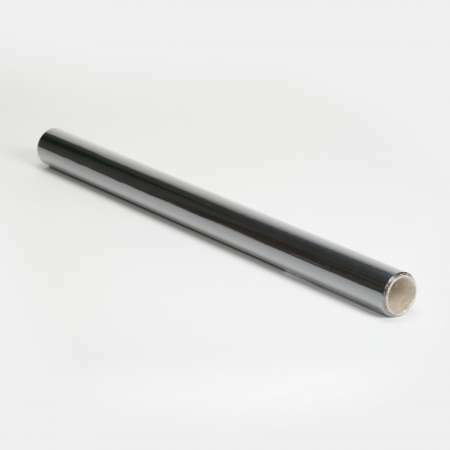 The charge with electrostatic ionisation is lasting for almoust 5 Years, whilst winded on the roll and has a product-live when used as a single sheet for at least 1 Year. 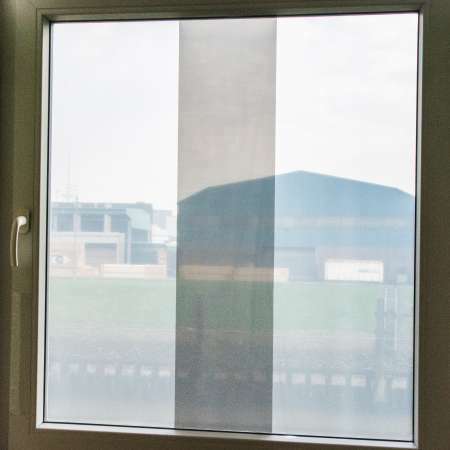 When stored, the product will be usable for at least 5 Years at 40-50% rel Humidity / 18°-22°C This special FolioContact version as a Sunshield-Protection Film is giving a perfect protecion against UV-A and UV-B Rays (85%-95%) and also can be used as an isolation sheet. 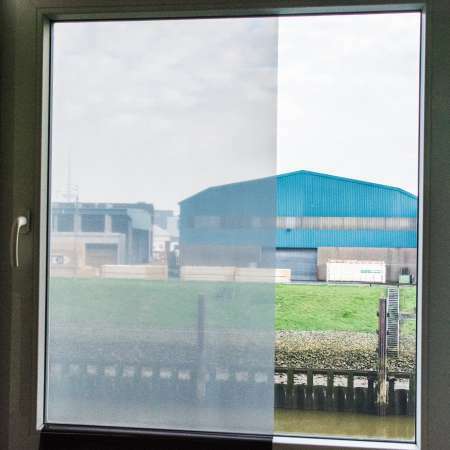 The UV-protection can be easily increased by using 2 sheets on top of each other. Folio Contact Sunshield can be recycled, can be disposed with the yellow bag and capable for energy recovery. Safety data sheets can be requested if necessary. 48 Transport Boxes per Euro-Pal.